Published London: HarperCollins, 4th impression (previously issued 2004; hardback was 2003). Overall condition fair: some wear on the covers, especially at the edges and corners, and remains of a small sticker on the front; spine a bit curved with some creasing; pages a bit yellowed with age; text appears to be free of marking. 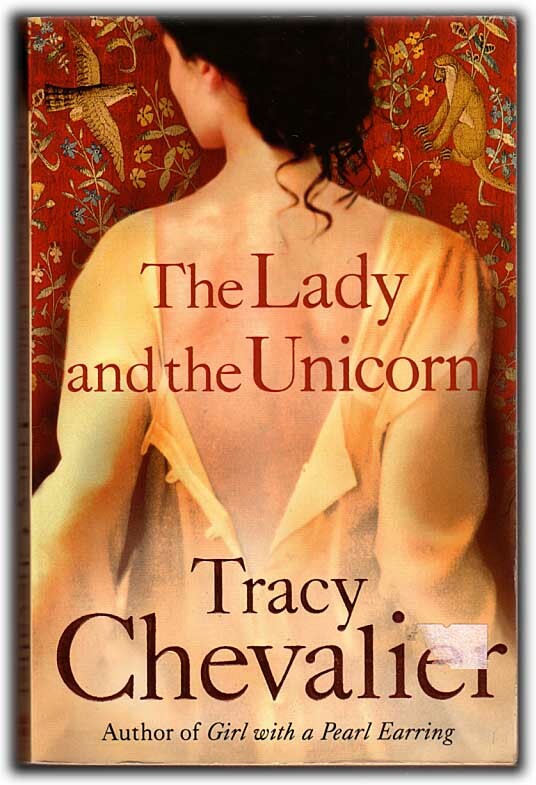 Historical fiction: weaves a story around the production in late fifteenth-century Paris of the Unicorn Tapestries from the Musée National du Moyen Age. Illustrations: endpapers illustrated in colour.